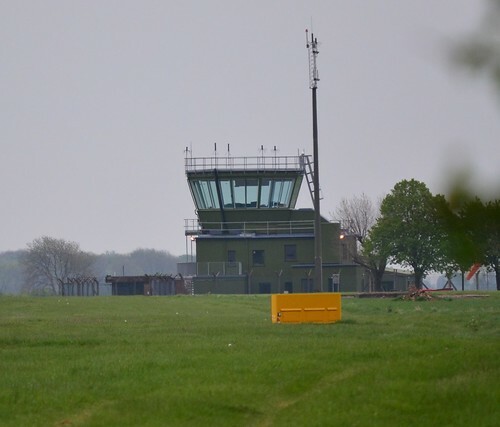 In the lower regions of Lincolnshire is a group of small airfields that are historically speaking, extremely important, but yet some are barely even known about. One of these is a major airfield with roots that go way back to the very founding of the Royal Air Force itself, being the primary Officer Training College pretty much ever since. It remains performing this role today, with its ornate buildings forming the backdrop to the pomp and ceremony of passing out parades of new RAF Officers. The second of these airfields is a small Relief Landing Ground (RLG), built with very few buildings and little infrastructure, it is one that is relatively unknown and in many cases even overlooked. Yet it was none the less, a thriving airfield during the hostile times of the Second World War. Whilst flying continues here today, still as a RLG, it has more than earned its place in the annuals of world history by being one of a small group of airfields that launched not one, but several of the biggest air operations the world has ever seen. In this part of Trail 2, we take a new look at both RAF Cranwell and its smaller but just as important satellite, RAF Barkston Heath. 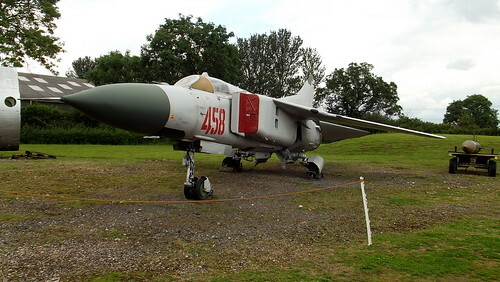 We then travel a little further to the former RAF Winthorpe now the Newark Aviation Museum. Our first port of call though is that little known about airfield RAF Barkston Heath. 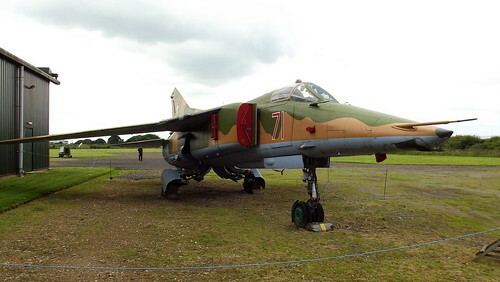 Barkston Heath sits on an area of Middle Jurassic Limestone, and is located about six miles south of RAF Cranwell, the parent airfield of the site siting on the edge of the Lincolnshire Cliff. 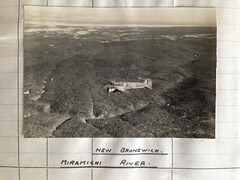 It was identified as a possible location as early as 1936, and the year it opened, it used grass runways with very little infrastructure to support those using its grounds. As a satellite airfield it would have little based here, but would regularly see a number of biplanes use its grassed surfaces over a good number of years. As a result of the focused development of Britain’s airfields during the pre-war expansion period and the early part of the war, it was then decided to upgrade Barkston Heath to the Class A standard; this earmarked it for three runways of concrete and wood chip of the standard lengths 2,000 yds and 1,400 yds by 50 yds wide. 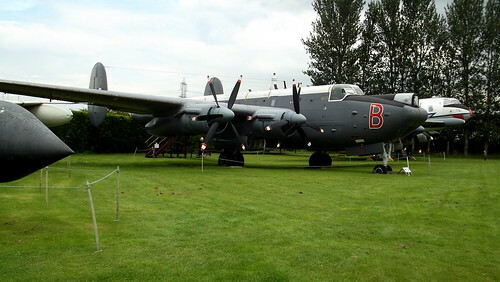 The idea behind this upgrade was to allow it to be used as a bomber station, a satellite of RAF Swinderby. Ready to house the four engined heavy bombers of the RAF, it was a perfect location as it was found in the southern regions of Lincolnshire and within reach of Germany. However, the development of Barkston Heath wasn’t completed for another two years, during which time it continued to be used as a satellite for RAF Cranwell. It was during this period that Cranwell was also developed, it being closed whilst runway improvement works were carried out. In order to keep the training programmes going, the aircraft from Cranwell were transferred over to Barkston Heath thus bringing a renewed flurry of activity to this airfield. Then, during 1943, after Cranwell had re-opened, work then began which closed Barkston Heath. This work included the construction of its own hard runways along with 48 spectacle hardstands and 2 frying pan, most of which survive intact today. Aircraft repair hangars, of which there were originally four, soon totalled seven, of which six were the T2 variety and one a B1. 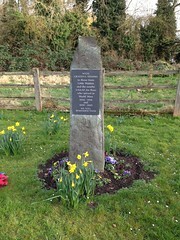 These were located to the north-east of the site next to a public road with four of them across the road on a separate site. Unusually, the technical area was to the south of the airfield away from the hangars, the very buildings you would expect to see in the technical area of any airfield. The bombs store was located to the north-western side of the airfield and accommodation areas dispersed to the south. Predominant in this area of the country were the RAF’s No. 5 Group, who were tasked with the training of bomber crews for the Royal Air Force. A number of airfields including Bardney, Bottesford and Swinderby were all found around here, and Barkston Heath would soon become another name added to that list. However, a decision in January 1944, when the airfield’s upgrading was complete, was made to transfer the airfield over to the USAAF in answer to their call to accumulate airfields in the region for Troop Carrying purposes. This meant that Barkston Heath was handed over to the US Ninth Air Force early that year, renamed Station 483 whereupon it became home to the 61st Troop Carrier Group (TCG) of the Ninth Air Force. The TCGs were units set up to train and provide Troop Carriers for the forthcoming invasion of the continent on the Normandy beaches. An operation that would see one of the largest invasion plans of the war put into place. It would require the dropping of thousands of elite paratroops on and behind enemy lines to capture, eliminate and disrupt their positions before and during the invasion on the morning of June 6th 1944. 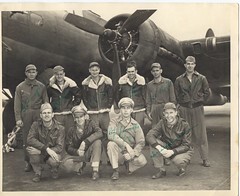 The 61st TCG, were one of five groups making up the “Northern Troop Carrier Bases” of the 52nd Troop Carrier Wing (TCW). 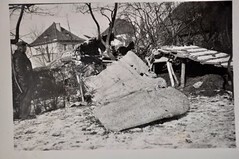 This wing consisted at this time, of four Troop Carrier Squadrons (TCS) the 14th, 15th, 53rd and the 59th TCS who would arrive during February 1944. Their stay would last long after the famed Normandy invasion had taken place, in fact until March 1945, almost to the war’s end. Whilst they were stationed here, the 61st would take part in a large number of major operations across the European territories. The 61st’s journey to Barkston Heath took them from Olmsted Field in Pennsylvania, through Augusta (Georgia), Pope Field (North Carolina) and on to North Africa. By the time they left North Africa they were a an experienced Troop Carrier Group having taken part in paratroop activities whilst here. These drops had earned the 61st a Distinguished Unit Citation (DUC) and by the time they arrived at Barkston Heath, they had already two major invasion strikes on their books, Sicily and Italy. On arrival at Barkston Heath, they were transferred to the Ninth Air Force, and due to their experiences required little training for the work ahead. In the days during the build-up to the invasion, paratroops of the 101st Airborne began to arrive. Their presence only added to the excitement and curiosity of the ground crews who busied themselves painting invasion stripes across the wings and round the fuselages of the C-47s, that were parked along the runways of Barkston Heath. During the invasion on June 6th 1944, and on D+1 on June 7th 1944, they dropped paratroops and supplies near to Cherbourg on the Cotentin peninsula in Normandy. A major port, Cherbourg was also visited by the Titanic on its fateful voyage in April 1912, hopefully this would not be a prophecy as the area was an important place to both take and hold during the invasion. Because of the nature of the drop and the dedication shown by the group, the 61st would receive their second DUC for this action. The awards for this brave and dedicated group of men were beginning to mount up. Losses over Normandy were heavy however, and new recruits were brought in to replace those lost. A short period of training for the 44th TCS based at Cottesmore at the end of June, saw a six ship formation with gliders, mount a practice invasion at Barkston Heath. A smoke screen was laid down by an A-20 during which time four of the six aircraft landed safely. 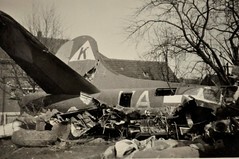 After the breakout from the Normandy arena and the push north toward Holland and the Rhine, C-47s of 61st would then go on to drop British paratroops at Arnhem in Operation “Market Garden”; resupplying them by glider in the days that followed in September 1944. These troops consisted of the 1st Parachute Squadron Royal Engineers (550 men), 16th Parachute Field Ambulance (135 men), the Brigade Headquarters and the Paratroop section of the Defence Platoon consisting of 82 men. Amongst their parachutes they carried enormous quantities of kit, so much so that they had to be helped onto the aircraft by ground crew. Being ‘overweight’ parts of the kit had to be released before the paratroops hit the ground, as the extra weight forced them down faster than they should have been going. Many of these men suffered injuries from hitting the ground too hard, unable to release the harnesses in time to slow them selves down. There were 157 paratroop filled aircraft in the sky that day, of which over 70 were from Barkston Heath – a considerable amount considering the relatively small size of the airfield. A further 358 aircraft followed all towing gliders, and so the sky that day was filled with silhouettes of aircraft as far as the eye could see. Even after this wave had passed, there were still two further waves to follow*1. In all, during operation ‘Market Garden‘, the 61st would carry out just short of 160 sorties dropping troops and supplies to the besieged ground forces around Nijmegen. For the next few months the 61st would continue to supply the troops fighting in the lowlands of northern Europe, taking fuel, food and ammunition to the allied forces as they pushed forward toward Germany. Then in mid March 1945, after many of the airfields in France had become secured, the 61st departed Barkston Heath, never to return. Whilst this curtailed their flying activities from this airfield, they would go on to cover other major operations including both the Rhine crossing that same month, and following the war’s end, the Berlin airlift in 1948/49. But before they departed, the Luftwaffe would have one small surprise for them. 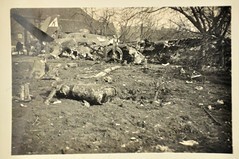 In a series of night attacks on the cluster of airfields in the area, including both RAF Cottesmore and RAF Barkston Heath, Night Fighters roamed the skies dropping anti-personnel bombs across the airfields. 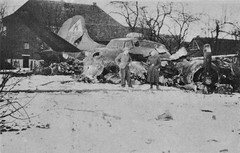 In the attack at Barkston Heath, the airfield was strafed and bombs were dropped, but thankfully little damage was done. With the posting of the 61st to France, Barkston Heath would see a new group arrive, still under the ownership of the US Ninth Air Force. The new group, the 349th TCG, operated C-46 aircraft to transport essential supplies into western Europe and then bringing home both injured allied troops and German prisoners of war. The four squadrons based at Barkston, the 23rd, 312th, 313th and 314th, were only here for around 3 weeks before also moving off to France where they would continue their operations. In April 1945, the withdrawal of the US forces from Barkston Heath meant that it was no longer required for their purposes, and so in June, the airfield was finally handed back to RAF control. For a period after the war the airfield was used as a storage and disposal site before returning to the role of RLG for RAF Cranwell. Then, for the majority of the 1980s, Barkston Heath had an area within the former bomb dump developed for the siting of Bloodhound Missiles, Britain’s principle Surface-to-Air guided missile, and the first guided weapon to enter British operational service. These missiles were manned by ‘D’ Flight from the RAF’s No. 25 Sqn on March 1st 1983, and remained here until October 1st 1989 when they were absorbed into No. 85 Sqn RAF. A year later they would be disbanded, the Bloodhound no longer being the mainstay of Britain’s last line of defence. With the 1980s turning into the 1990s, Barkston Heath once more became a RLG for Cranwell. Since then it has continued to operate as a Training airfield for pilots of the three forces of the British Isles, recently replacing the Slingsby T67M260 Firefly with the Grob G 115 Tutor T.1. As no large heavy aircraft had ever been assigned to Barkston Heath, it never needed developing beyond the Class A specification of its wartime role. The watch office has been updated though with the inclusion of the anti-glare glass house, but the wartime huts and technical buildings to the south of the airfield site have long gone. Fortunately the main concrete areas and hangars have survived much in thanks to their continued use by the Royal Air Force. Since then Barkston Heath has remained as a satellite for Cranwell, operating as both a training facility and a Relief Landing Ground, a role that takes it back to it origins in 1936. Today, little flying activity can be seen, but the airfield does have some reasonable viewing points. The hangers and (active) guard-house, are adjacent to the main road, and passing the airfield here parked aircraft can often be seen on the apron. The remains of a Canberra B(1)8 ‘WT339’, an ex RAF Cranwell aircraft, rest in the dump, visible from a path leading off from the main road on the northern side of the airfield. Here also are the remains of the Bloodhound site, the launchers and missiles obviously all having been removed long ago. 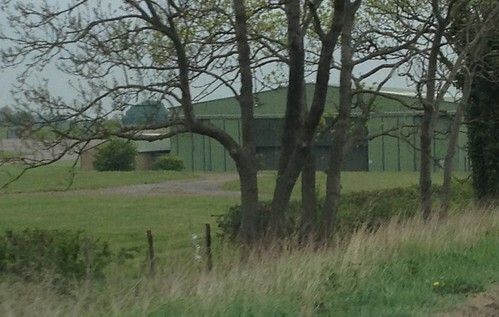 All the remaining hangars are visible behind the trees but those across the road are no longer used by the airfield operators. Other than this, little buildings wise, remains. Whilst Barkston Heath has had a long life and one that looks to continue well into the future, its wartime life was relatively short. However, this doesn’t detract from the fact that it was, none the less, a highly important airfield playing a major part in the Allied invasion plans, and not just Normandy itself, but beyond to the ill-fated operations around the Dutch town of Arnhem. RAF Barkston Heath is a name that should be more widely known, seared into every tale of the Normandy Invasion plan, a name that should live for many, many years to come. After departing Brakston Heath, we continue westward where we find the former RAF Winthorpe now the home of the Newark Aviation Museum. 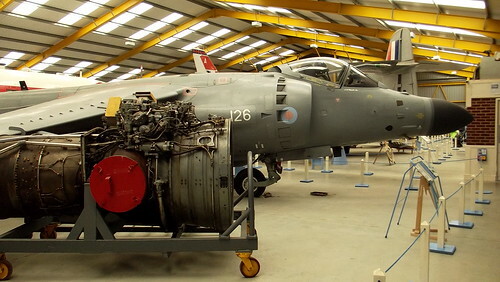 On the way, you could take in the delights of the RAF Cranwell Aeroflight Museum a small museum illustrating the history of the still active, and nearby, RAF Cranwell. Arriving at Newark, the museum is hidden behind trees on a small part of the old airfield (RAF Winthorpe), parts of which still exist. Arriving there, you are greeted by the tall aircraft tails and buildings of the old airfield. 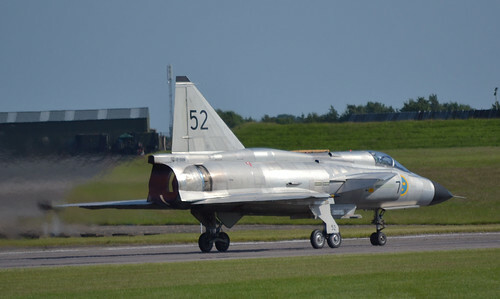 With an extensive range of cold war jets, piston aircraft and others, you are sure to be in for a great day. With pride of place in the centre of the external display, is of course the mighty Vulcan XM594. Walking below that huge triangular wing, you appreciate its ‘vastness’, stunning capability and surprisingly, how low it actually is to the ground. Sitting beside it, is its payload, the ‘Bluesteel’ and other selected ordnance. Here you get a feeling of security thinking, this could actually ‘do the job’. Surrounding you are other examples from that same era, Canberra, Phantom and E.E. Lightning. Being outside, some of these models have seen better days but the long painstaking process of repainting is an ever daunting task the museum volunteers continue on with. A Meteor sits proudly next to the Vulcan, like the many in my father’s photo album they are still relatively ‘common’ but nonetheless help to remind us of our once ‘leading the field’ heritage. 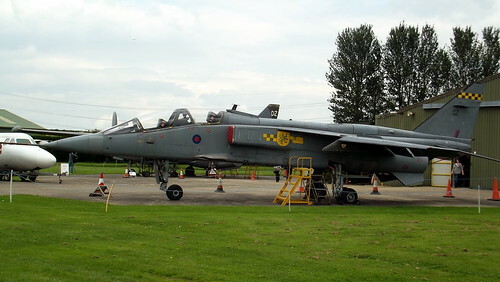 Many static cockpits adorn the area, some of which are opened at certain times of the year, an event attended by many enthusiasts and ex-military alike. Along the row of air frames is the Shackleton. An aircraft that amazed me for many years, because like the Gannet and others, had a contra-rotating prop, something as a child, I could never quite understand. How do you get two engines in that one space? Before being replaced by the beautiful Nimrod, for me, this aircraft was one of the remaining reminders of prop driven aircraft with gun turrets and the last links of second world war air frames. Across from the Shackleton stands the Jaguar, and if I’m honest, one of my favourites. These would scream across the sky often in formation and at low-level. Now, bar the odd taxi run, we have to resort to ‘You tube’ for those memorable images like the motorway take off, a stunt that made the Jaguar famous. 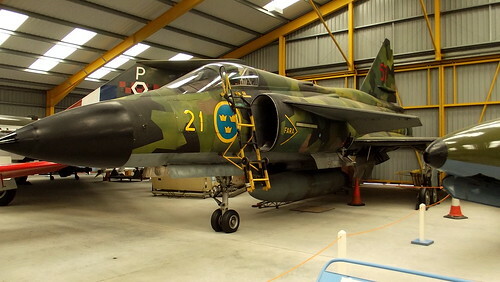 On entering the internal exhibition, I was delighted to see two aircraft I thought I would never be able to see, the Beautiful Saab Viggen and Draken. With it’s smiling ‘dopey dog’ style face, the Draken is tucked away in a darkened corner. It’s odd configuration and actual small size, giving it a cuteness lacking in other machines of war; it’s under-wing pylons, bristling with rockets, remind us that it was designed to kill. As a youngster making my Airfix models, I took pride in my European collection and the Viggen taking pride of place amongst them. Here was a real life Viggen, in all its glory right in front of me. As I stand looking, I can’t help think that, like many modern aircraft now, it has a passing resemblance to the Typhoon. With it’s small canards and large delta wing, the shape still amazes me. The multicoloured camouflage patterns that adorn these aircraft give them a strange appeal to the onlooker. As an enthusiast, I have never seen one before, never seen one fly and will probably never will. One story my father used to tell me was, how, once on a bus, he saw a new aircraft, guarded by armed guards and how he took a photo of it through the bus window. The immediate reaction was of course, to have a gun pointed at him, and as a serving RAF member, you would have thought it better of him to do such a thing. But thinking back, how many of us would have done the same thing! 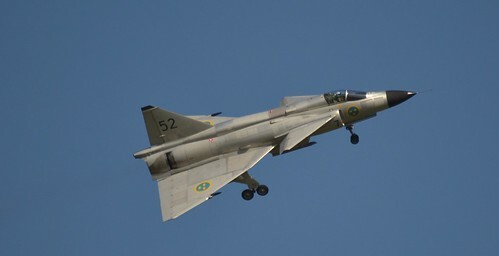 The aircraft was a Swift and here next to the Viggen, stood one fine example. How old and almost insignificant it now looks, it make you wonder why all the fuss? But, at the time, cutting edge technology I suppose! 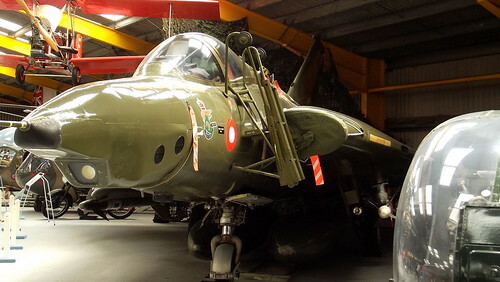 Amongst the examples at the museum are more from the era: Gannets, Gnats, Meteors with experimental engines, Canberras and of course the Javelin and Harrier. Like many Harriers these days, its heart purposely taken out and displayed like a trophy. The engine, an amazing story of British technology which led the world in VTOL. The Harrier, once proud and fearsome despite it low-speed, now destined to be museum pieces or scrapyard fodder. No longer shall we see a jet bow to the crowds, fly backwards or spin around its centre. An engineering masterpiece and a showman guaranteed to pull and wow the crowds at any air display. Outside the hanger, standing like proud gate guards are the reminders that the cold war was two-sided and that the Russians had incredible aircraft too. Another first for me, the Mig 23 and Mig 27. Two formidable aircraft that when the iron curtain came down, and better quality pictures were released from behind those closed doors, became a huge interest to many. 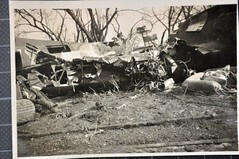 To see the aircraft designs and acrobatic skills of Soviet pilots in fast jets made us all realise that maybe, just maybe, we were not as invincible as we thought. Again, like the Viggen, models of such aircraft, were I thought, the only way I was ever going to be close, but here I am in between two amazing aircraft in peace time. 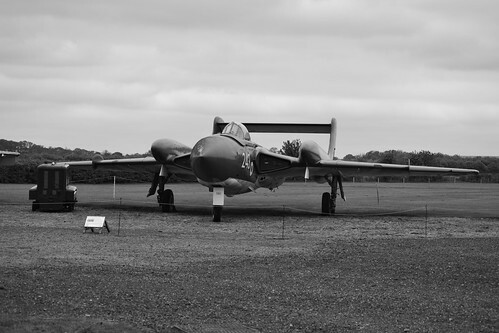 Around the corner from the two Migs were, two more fine examples of this era, the Buccaneer and the Sea Vixen. There are a few examples of these types scattered around the world, some flying, but most are static air frames. The Vixen, with its offset canopy, always fascinated me since my first model of the Ark Royal and its collection of these odd, twin boomed aircraft. Both these fine examples stand together as proudly today as they did all those years ago. As with many museums, a hot drink and cake in the small, friendly shop, completes an amazing day viewing some of the worlds major cold war aircraft, not available else where. A superb day! Update. 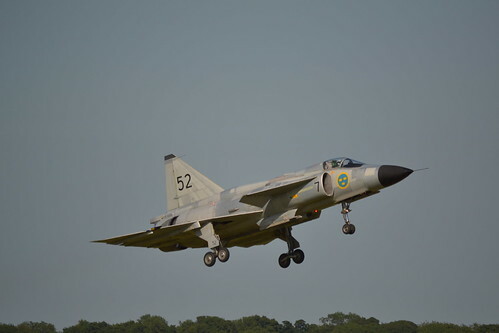 Following the Waddington airshow 2013, a ‘dream’ was realised when the Swedish Memorial group flew in a Viggen to perform an incredible display including short landing and reversing. Something to be seen! Sources and Further Reading (Barkston Heath). *1 Hicks, N., “Captured at Arnhem: From Railwayman to Paratrooper”, (2013) Pen and Sword. *2 Cotter, J., “The Battle of Britain Memorial Flight: 50 Years of Flying”, (2007) Pen and Sword.